We offer rescue from Kanchenjunga region by helicopter for any kind of emergency situation. 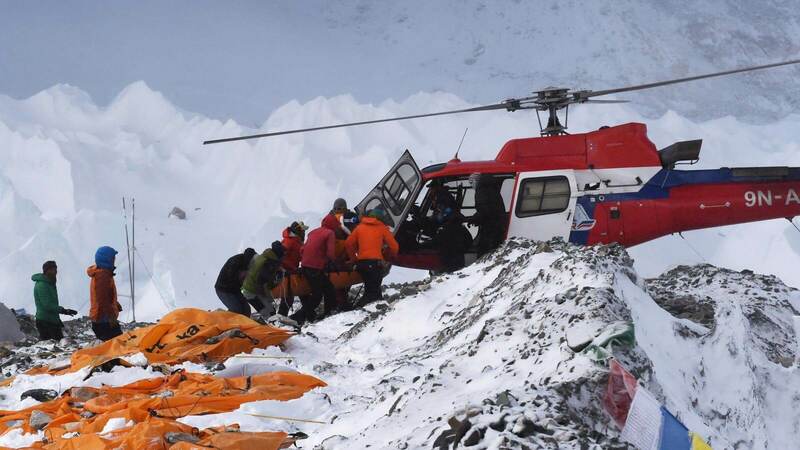 Kanchenjunga is remote part and need emergency rescue by helicopter in critical conditions. Mount Kanchenjunga is the third highest mountain in the world and is very famous trekking destinations among the international and domestic trekkers. Kanchenjunga Trekking takes you to the eastern remote land of Nepal near Sikkim, India. Due to remoteness and difficult accessibility this region sees limited number of trekkers but offers immense overwhelming natural beauties. You will also get a chance to explore the rural lifestyle and cultures of Himalayan people. The giant mountain panorama, when observed from close, looks astonishing. If you want to observe the undisturbed natural beauty or virgin beauty of nature, Kanchenjunga Trekking is an ideal trekking package for you. This is a moderate level of trekking but sometimes trekkers may get AMS (Acute mountain sickness) or any other kind of sickness. Don’t worry, we are here in your help. Due to the remoteness and lack of road transportation, Helicopter Rescue is the only way of rescue from the higher altitudes. If you feel some sickness or any kind of uncomfortable situation, immediately contact your crew members. Or you can directly call us in case of emergency. We are just a call away from you. As soon as you confirm your location, our rescue team will reach there with required tools and medicine. Then we will pick you and land on the airport nearby where our Ambulance will be on standby position. In case of emergency, we will directly take you to the hospital by helicopter and admit you.